New season, new you! Winter accumulates the worst germs and grime, but spring cleaning makes everything feel fresh and healthier. After all, unless your home is looking better, it’s hard to work on yourself! Recently I did a week-long spring-cleaning challenge to amp up and fine tune my spring-cleaning routine. 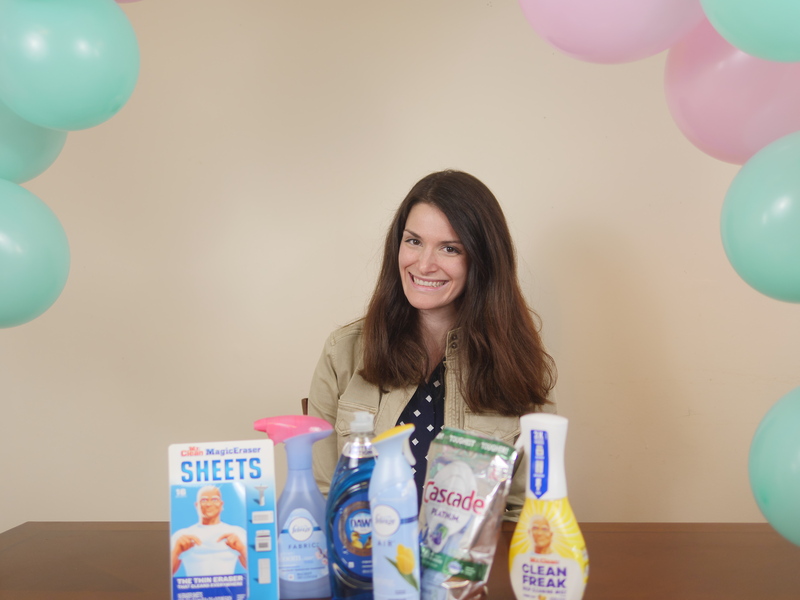 Featured today on Theresa’s Reviews, check out my favorite products that make spring cleaning easier and more effective, including Febreze AIR and FABRIC as well as other Procter & Gamble products, and you can read about my spring-cleaning tricks and hacks. First, making time to deep clean the house means temporarily overlooking smaller messes. It’s important to focus on the places that I usually forget to clean for a thorough, deep cleaning. To help me cope with some small messes, adding daily air refresher to my routine makes my home feel cleaner. Did you know that odors can actually be cleaned too? That’s why one of the most important parts of my spring-cleaning challenge was sprucing up my home with Febreze AIR every day. With nearly 500 trillion odor molecules that aren’t necessarily always detectable to you (but may be to someone else), it’s not possible to truly clean the home without cleaning it of odors. Febreze works to seek out tough odors and deactivate them, while replacing them with light and fresh scents like Happy Spring and First Bloom. 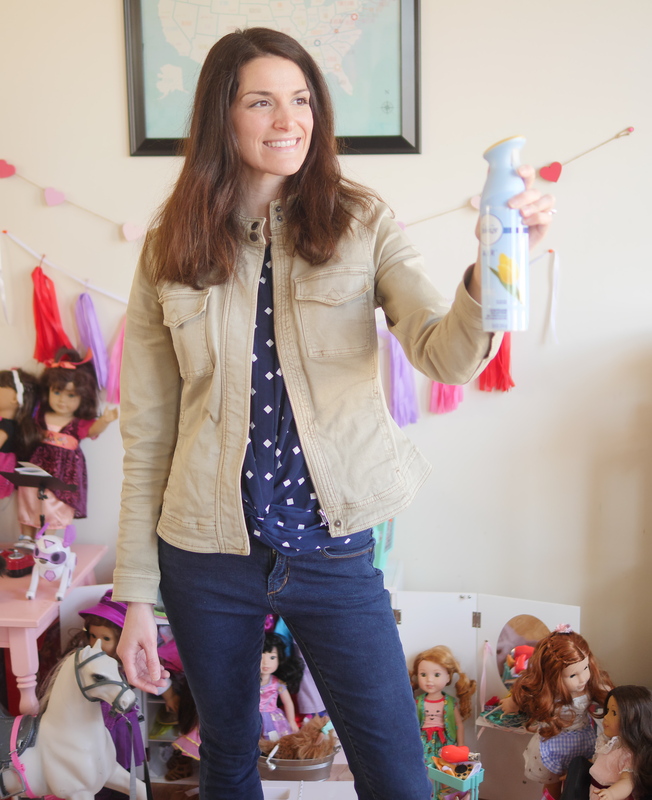 It’s my go-to odor eliminator for the air of any room in my home. Plus, it’s safe for everyday use and as the finishing touch to my spring-cleaning routine! To motivate my spring-cleaning challenge, Febreze sent several Procter & Gamble products. Some were new to me, and they totally revolutionized my cleaning routine! Some of these were already household favorites, such as Febreze, and Dawn Platinum for washing the dishes. Its grease fighting power is 3x stronger than generic dish soap! Here are the products that were sent to me. Flexible and thin, Mr. Clean Magic Eraser Sheets helped me tackle messes in hard to reach places. These Sheets are also great for wiping away really gross and germy messes that I wouldn’t want to keep and reuse like with an entire Magic Eraser block. Febreze FABRIC works to eliminate lingering odors on all of my hard-to-clean fabrics like carpets, sofas, curtains, and upholstery. It’s smart to give fabrics a weekly refresh! It’s the perfect topper to my regular cleaning routine, and for all the last-minute cleaning like before our recent birthday parties! 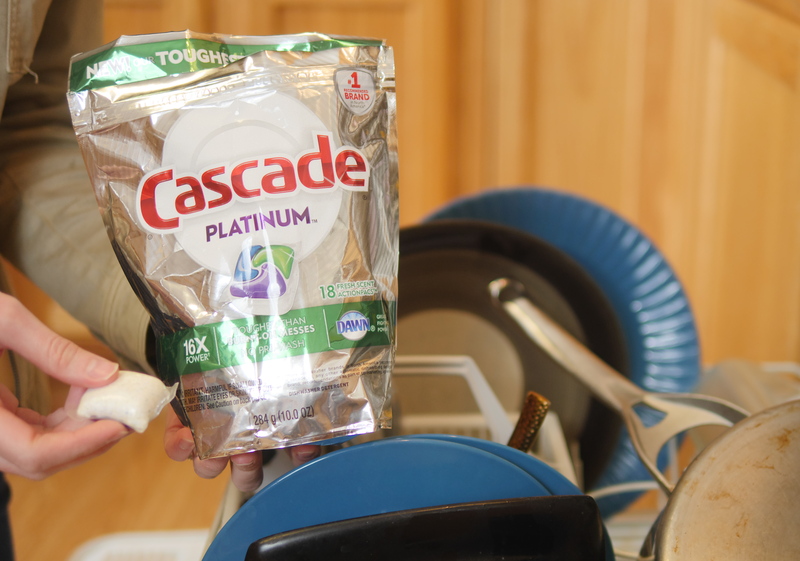 Another awesome cleaning product is Cascade Platinum because it keeps my silverware and dishware sparkling clean. With Cascade’s cleaning agent formula, it dissolves food, lifts it off dishes, and rinses it away! 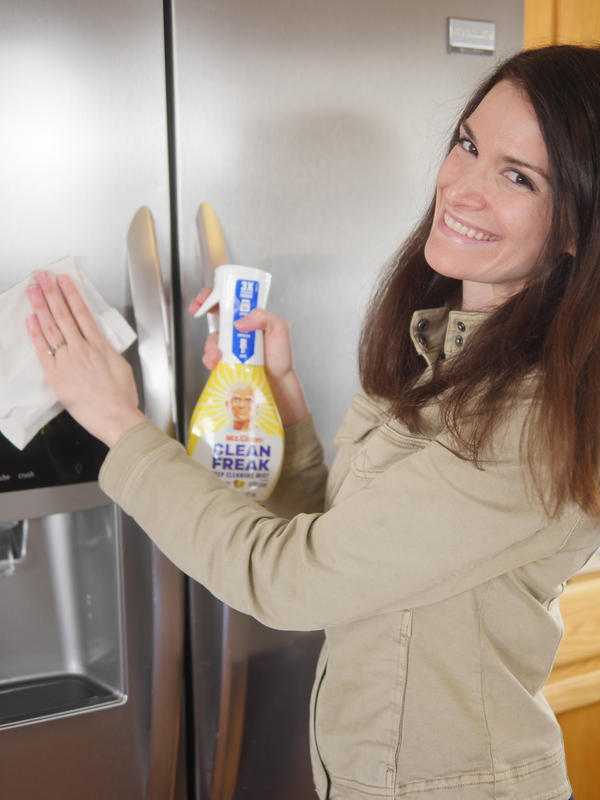 I’m not sure how I did spring cleaning before I knew about Mr. Clean Clean Freak All-Purpose Cleaning Mist! It’s is a spray that works through grime, tough dirt, and grease to make messes a distant memory. It even works on stainless steel! The new formula comes in a revolutionary designed bottle that lets you spray upside down for those really tough-to-clean place! These past seven days taught me that spring cleaning is about more than just a tidy-looking household! Having a cleaner house makes me feel much better about my daily routine. Now, even my children are more in the habit of helping to keep the small messes to a minimum, and we are all enjoying the deep cleaning that took place this week. Not only does it look better, but it smells even better than we could imagine! For more household tips, follow Theresa’s Reviews on Facebook, Twitter, Instagram, Pinterest and YouTube! Your turn! Join me in a 7-day spring-cleaning challenge and tell me how it went in the comments!